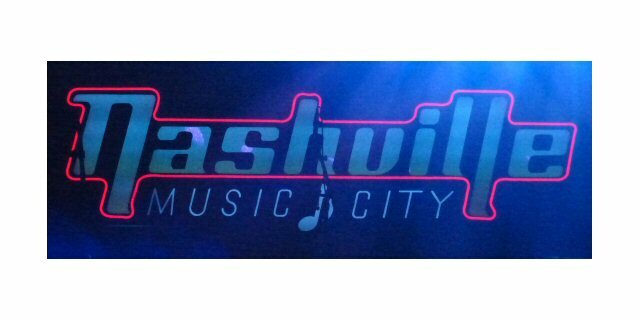 Nashville bid farewell to 2015 with the Jack Daniel’s Bash on Broadway that featured music, confetti, fireworks along with the trademarked Music Note Drop. This free Bash began back in 2009 with each year getting bigger and better. In addition to more music – seven bands on two stages for 2015 – there was plenty of food vendors along with the bars and restaurants already in the Downtown. Kings Of Leon headlined the Jack Daniel’s Bash on Broadway in 2015. Lower Broadway between 1st and 6th Street in addition to a number of surrounding roads in The District were closed on New Year’s Eve Day. The Jack Daniel’s Stage was set up at one end of Broadway and the Music City Stage on the other. In the afternoon families enjoyed taking in the festive atmosphere before the crowds arrived at night. Various parking options along with additional bus service, taxis and Uber were set-up to insure a safe transition into 2016. The free Jack Daniel’s Bash on Broadway: New Year’s Eve in Music City was produced by the NCVC for the city of Nashville and presented by Jack Daniel’s. Partners included Advance Financial, Anderson Benson Insurance, Carl Black Chevrolet, Tennessee Governor’s Highway Safety Office: Booze It & Lose It, Ferguson Bath & Kitchen Gallery, Grand Avenue, McDonald’s, Durango Boot, Korbel, Budweiser, Bud Light, Fetzer and Uber. Chris Stapleton closed out his amazing year with a strong set in Nashville. Nashville has a rich history in country music but now more than ever the town is living up to its moniker of Music City. DJ Coach kicked off the Bash with bold beats that vibrated down a bustling Broadway. Mayor Barry spoke briefly before the Music Note was raised from the Music Drop Tower which was 145 feet versus last year’s which stood at 125 feet. The red Music Note had 425 light bulbs. It was built by MadeFirst, a design and fabrication company located in East Nashville. At 6 p.m. on the Music City Stage LANco a Nashville based band who recently signed with Arista Nashville entertained the audience with an engaging set of energetic covers and originals. LANco had a good stage presence with the potential to be Nashville’s next rising stars. Down the street Sugar + The Hi-Lows shined brightly on the Jack Daniel’s Stage. The group was fronted by singer/songwriters Trent Dabbs and Amy Stroup. Their sound was a mix of styles running the range from country to rockabilly. Highlights of their animated set featured the slow and sweet “I’ve Got You Covered”, an innovative version of “Jackson” as a rocking tribute to Johnny & June Cash and then a bluesy yet bold “Bees Left The Trees/High Rollers”. Kelsea Ballerini warmed up the proceedings on a chilly night in Music City. Young yet insightful is Kelsea Ballerini who began writing songs when things started getting rocky for her at age 12. 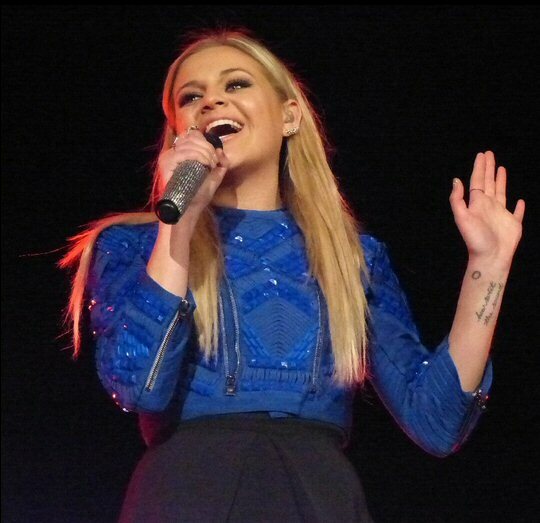 Kelsea cites a wide range of influences such as the Dixie Chicks to Frank Sinatra. Billboard named her the Top New Country Artist in 2015 and sure enough Ballerini’s brand of country pop paired with her pretty smile won over fans at the Bash. Wild Cub released their debut album Youth in late 2013. They have been steadily growing their audience with songs that captures fleeting moments of time in soundscape of electro-pop thus showing another side of Nashville’s changing music scene. 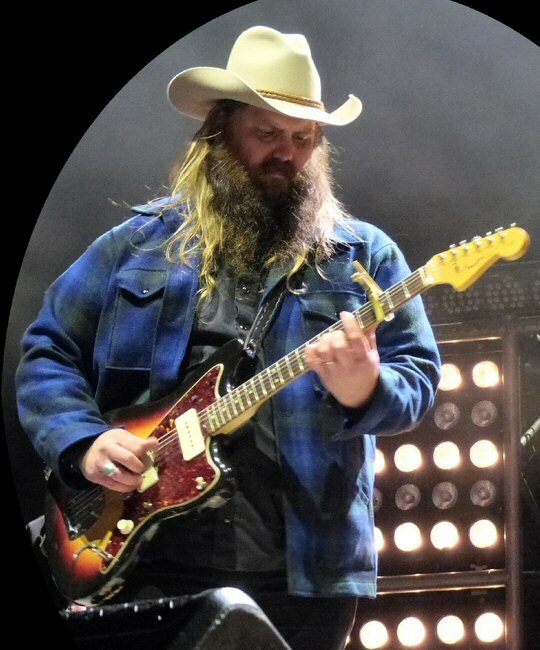 Session player, singer and songwriter Chris Stapleton took Nashville and Country Music by storm in 2015. Chris established himself here back in 2001 but it was his solo record Traveller that brought him to the masses. The album charted high on a number of lists and earned this seasoned musician three CMA awards in 2015 along with a gig at Nashville’s New Year’s Eve Bash. Mr. Stapleton will return to Music City in February of 2016 to play three sold out shows at the Mother Church of Country Music aka the Ryman Auditorium. Chris may have been the most highly anticipated act of the evening. He and his talented band were greeted with cheers which they earned playing plenty of tracks from Traveller. Stapleton has an earthiness that enhances the realness and relatability of his lyrics. Chris was reflective in “Nobody To Blame” to rousing with tunes such as “Tennessee Whiskey” and like a shot of Jack Chris can hit you hard but soon warms you with his delivery. Chris has his own unique flavor that tips his hat to more traditional country it’s no wonder he took Nashville by storm in 2015 with 2016 looking to be even more exciting for Stapleton. More scenes from the biggest Bash on Broadway yet! The Whigs a southern garage band formed in 2002 kept the energy high at the Music City Stage before Kings of Leon (KOL) took the Jack Daniel’s Stage around 11 pm. KOL are a family band that started out in Nashville. The three brothers and a cousin began with a southern blues flair. 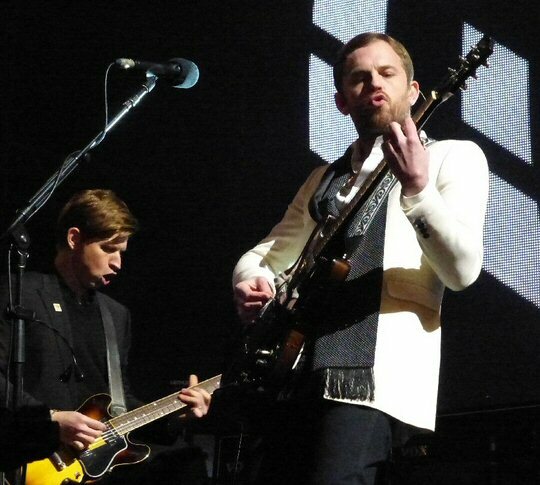 Their challenging childhoods molded much of their early experiences which was woven into their music that hit a note with folks enabling KOL to steadily grow their fan base. Over time their sound expanded to include alternative thus culminating with a headlining slot on New Year’s Eve in Music City. KOL had the crowd rocking as the midnight hour approached for the big moment when the Music Note Dropped followed by fireworks. 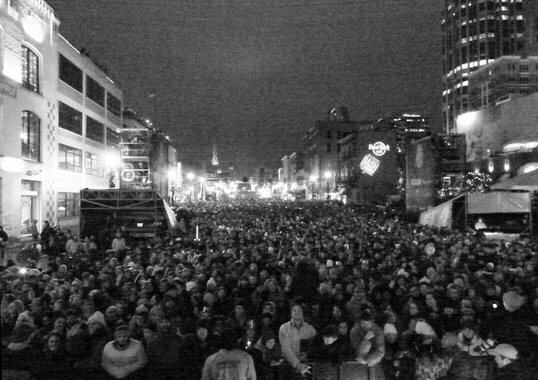 Nashville’s 7th annual New Year’s Eve celebration was its biggest and perhaps best yet. Despite night time temps in the 30’s a record number of people estimated at 150,000 attended the event. Two stages kept the music going throughout the night. The line-up was eclectic ranging from a DJ to arena rock with Kings Of Leon. There were lots of first responders on sight along with Metro Police officers and personnel from a private security firm. 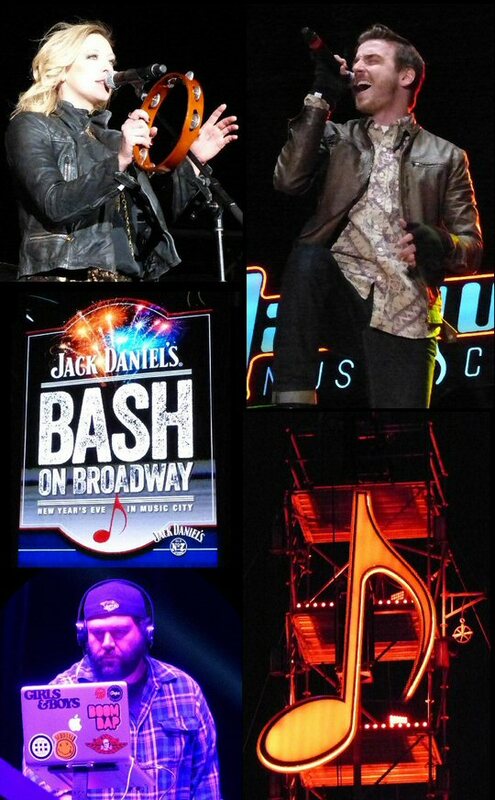 The Jack Daniel’s Bash on Broadway was a safe yet smashing success. Happy 2016 Y’all! A crowd of over 150,000 fervent music fans stretched for blocks down Broadway.